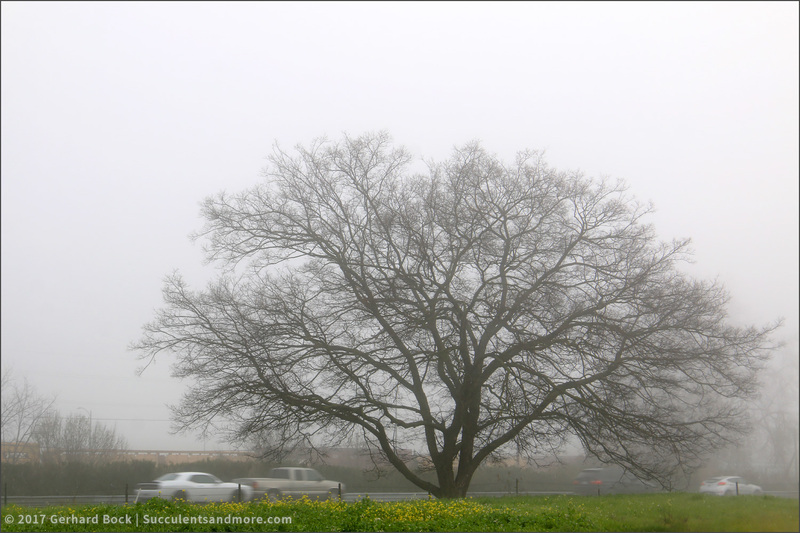 As weather patterns have changed over the years, the dense tule fog we used to get in the winter has become a rare thing. 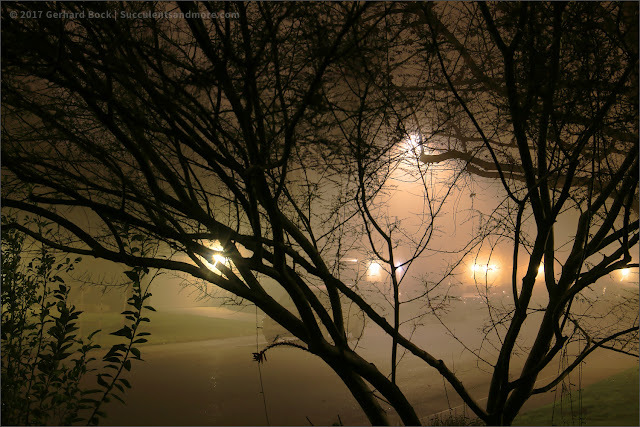 I remember days, even weeks, of unbroken fog that drove people mad; now fog is something people comment on in an excited voice, almost as if they're talking about a double rainbow. 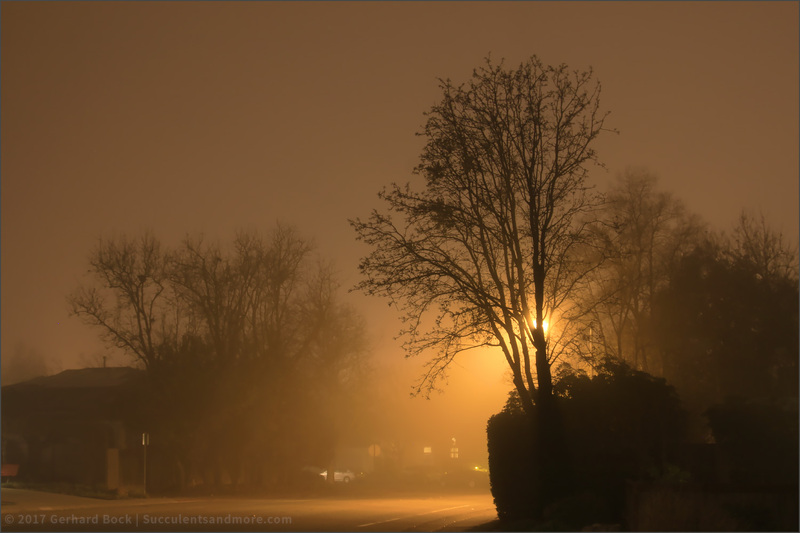 The last couple of nights have been foggy and eerily quiet. Yesterday the fog lasted all morning and I took the opportunity to drive out to the Yolo Bypass off Interstate 80 that separates Davis from West Sacramento (and Sacramento) on the other side of the Sacramento River. 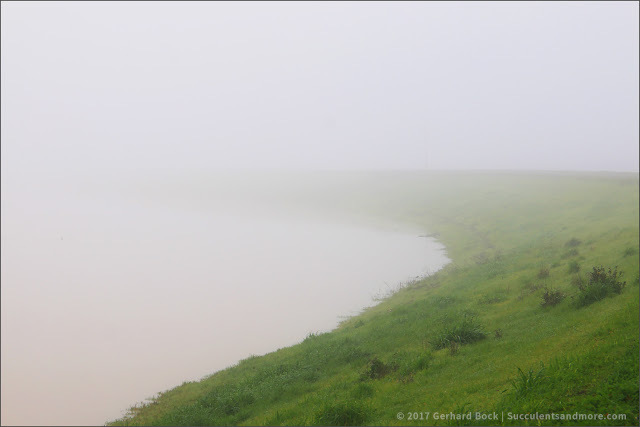 With the opening of the Sacramento Weir last Tuesday for the first time in 11 years, the Bypass has become an inland sea. 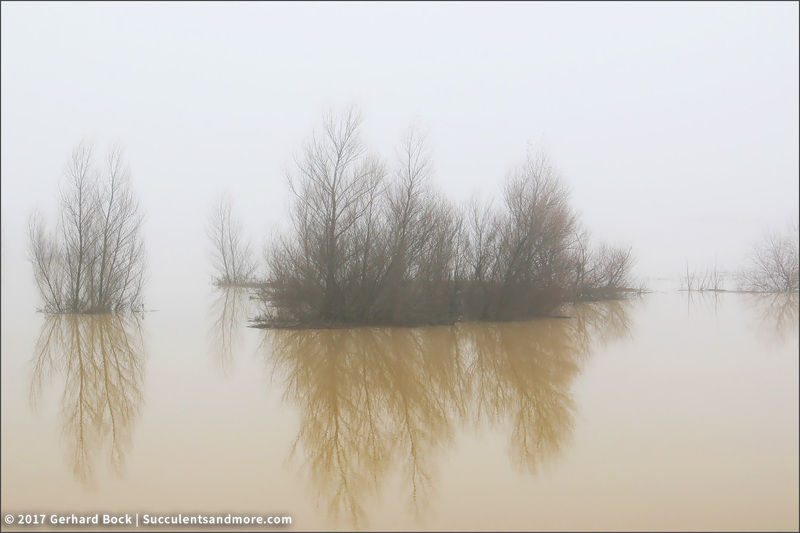 While the fog made it impossible to see very far, the partially submerged trees made for hauntingly beautiful photographs. The levee along the Yolo Bypass is a popular place to walk but yesterday morning I saw nobody. 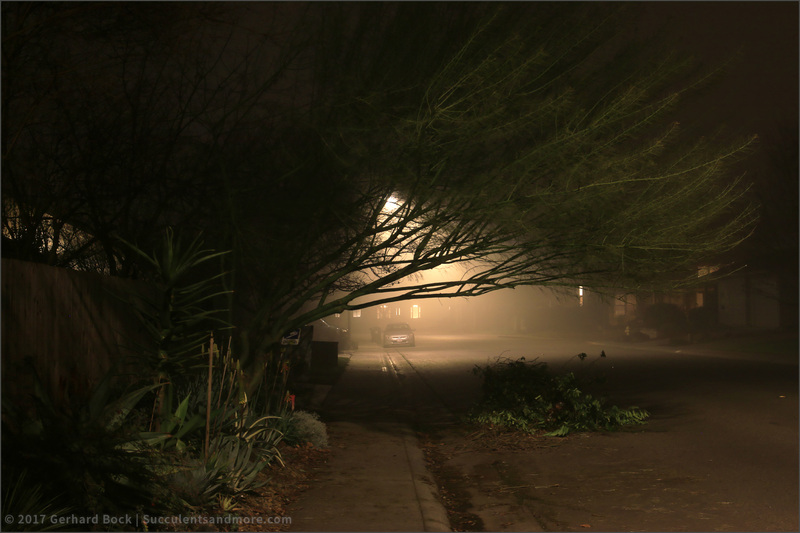 Last night I took advantage of the fog to take photos around the neighborhood. 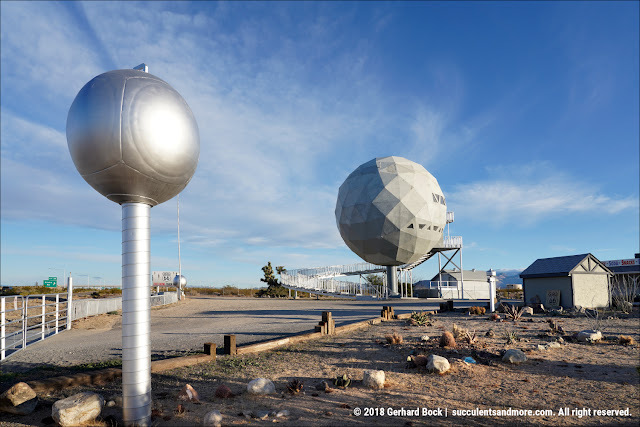 It felt odd standing outside next to a tripod with nobody else around. 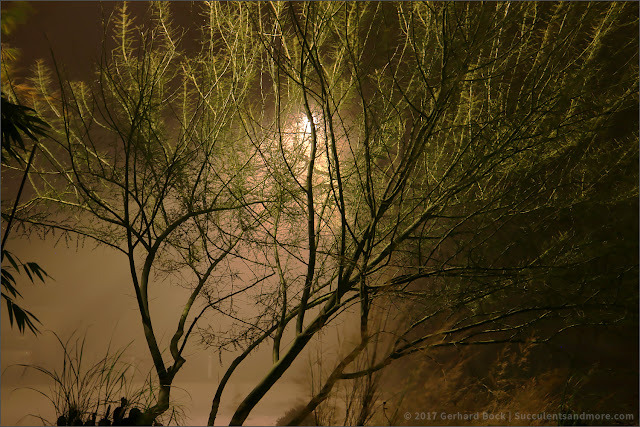 Great fog photos, Gerhard, especially the night ones of your own garden! 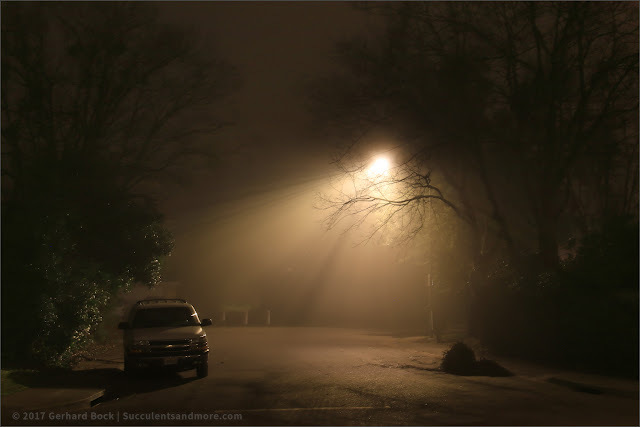 We get a lot of fog here, I love it and would miss it if it ever went away. I did miss the fog in recent years. Glad it's back this year. Very foggy this morning. 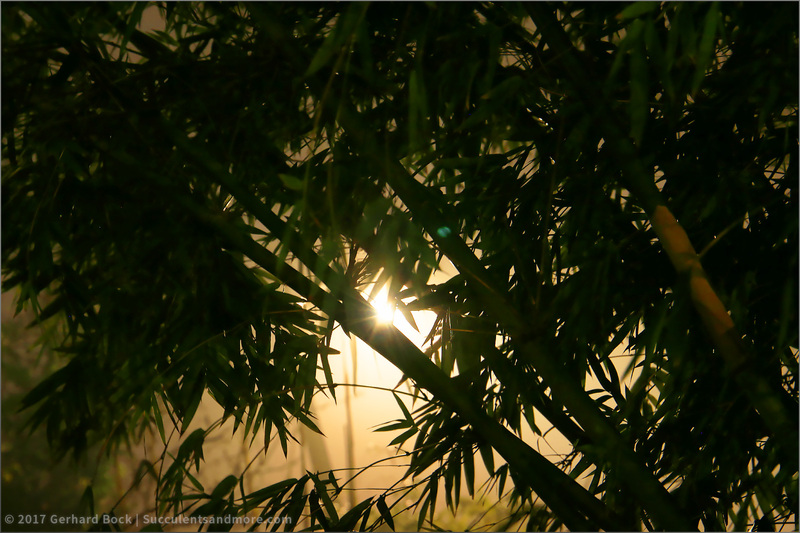 The fog turned blood red earlier as the sun was rising. My sister from Davis who is visiting me enjoyed these very much. She had fun seeing places she knew. The high yesterday was 46F? Cold for you. Tomorrow she wants to visit the Bypass while it is up, but I understand more more rain is forecast. Good luck. Thank you. What a coincidence! It must have been strange for your sister to travel to Southern California just to see photos of home :-). Lots more rain in the forecast - 3 1/2 inches between Wednesday and Sunday. 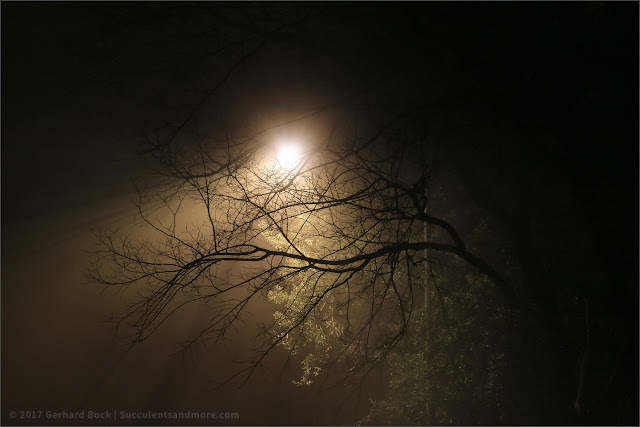 I always find fog a little eerie, if not downright sinister - maybe I was scarred by too many scary movies as a child. It does make for intriguing photographs, though, especially in the night views. I love horror movies so I know exactly what you mean. Who can forget The Fog (1980) or The Mist (2007), the latter one of the most underrated horror movies of the last 10 years. 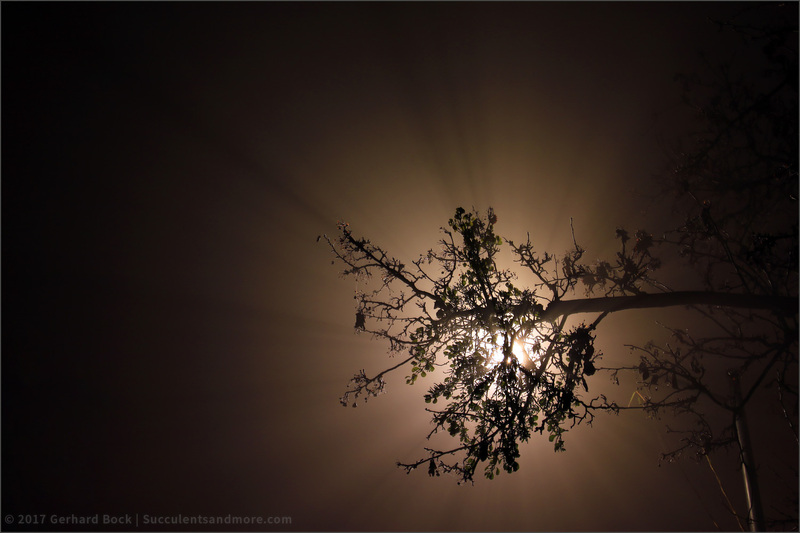 Beautiful photos--I love what fog does to landscapes. 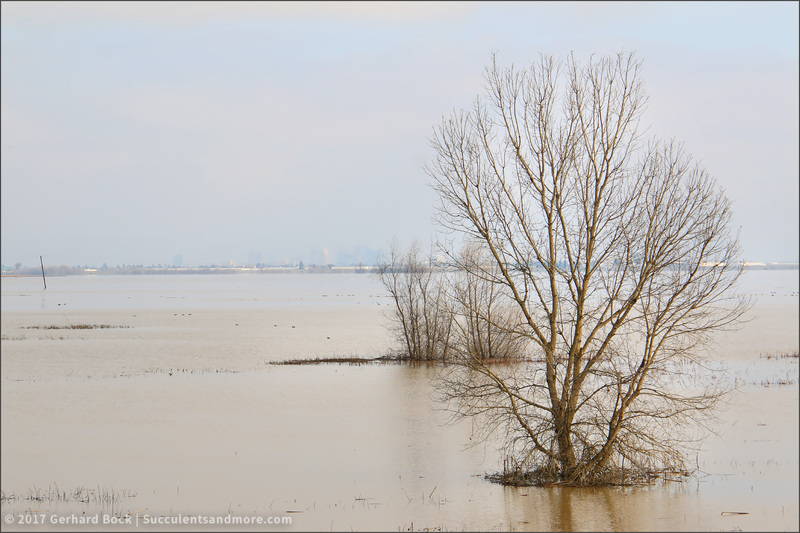 All the water in the Yolo bypass--just amazing. 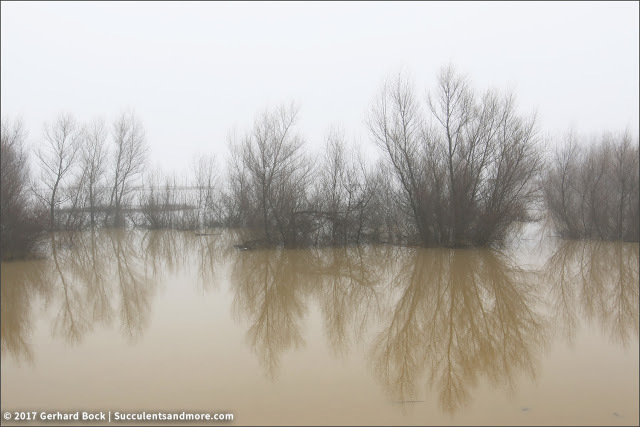 Now another series of rain storms predicted for the end of this week--more! It seems like our big El Nino year has finally arrived, doesn't it? Funny, this wasn't even supposed to be an El Niño year. We're now getting the rain they predicted for LAST year! Re. opening the weir: it really has been wet there, hasn't it? 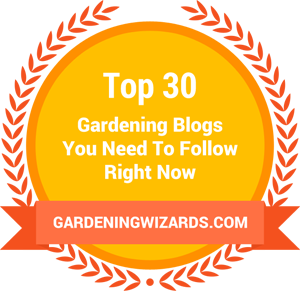 Is your garden still waterlogged? It's been a mild winter here so far (again). The puddles in our garden are gone. Just in time for the next onslaught! 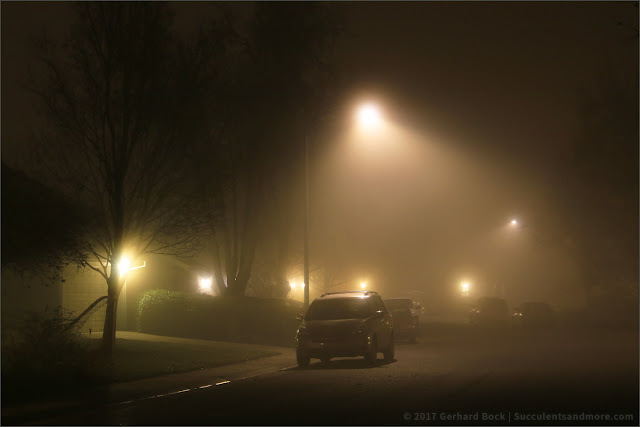 Laurin, I'm so glad my photos brought back memories of your years in Sacramento. 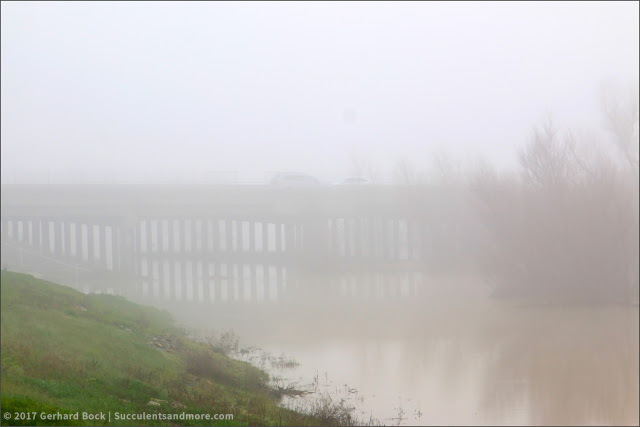 Tule fog has been rare in recent memory but has made a big comeback this year. It's foggy again today. I'm a big fan of fog but have never seen night photos like these...fantastic!